THE PENTAGON – The evidence against a U.S. Navy officer accused of passing classified information to foreign agents was the result – in part — of a government sting involving a Mandarin speaking FBI informant, according to an audio recording of an April 8 Article 32 hearing played for reporters on Thursday. During the brief two-hour hearing, lawyers for Lt. Cmdr. Edward Lin, 39, argued that their client was entrapped by the sting run from late August to September of last year that resulted in the “ambush” of Lin at the Honolulu International Airport on Sept. 11, 2015 by NCIS agents. “The government has engaged in a nefarious scheme to entrap Lt Cmdr. Lin,” said civilian defense attorney Larry Youngner during last month’s hearing. Lin, originally from Taiwan and a U.S. citizen since 1998, has been in pre-trial confinement since he was detained. While held, Lin confessed to supplying “Secret” information during 11 hours of NCIS interrogation over two days following his detainment in Honolulu, according to government attorneys. The interrogation and its subsequent classification review by U.S. Pacific Command and Joint Special Operations Command form the backbone of the Navy’s allegations that Lin had committed two instances of espionage, three instances of alleged espionage and several allegations of mishandling and transporting classified information. According to a review by the Navy’s N2/N6 intelligence branch, the interrogation produced at least 31 incidents in which Lin could have revealed classified or sensitive information, government attorneys argued. While the nature of the information was not discussed in the 80-minute unclassified portion of the hearing reporters were permitted hear, Lin’s defense attorney argued that much – if not all of the information – that prompted the espionage charge was available publicly. This was, “open source information, no longer subject to national defense information [rules],” Youngner argued before the preliminary hearing officer Cmdr. Bruce Gregor. Government lawyers argued just because classified information is available publicly, doesn’t mean that it’s unclassified. Under military law, service members accessing classified information available publicly are still subject to the same penalties for mishandling information that remains under government control. During their portion of the hearing, attorneys for the Navy said that during his interrogation after his detainment, Lin confessed to passing on information to foreign agents. “He tells you exactly why he does it in the video,” said government attorney Cmdr. Johnathan T. Stephens. Following Lin’s detainment, NCIS agents used information gathered in the interrogation to obtain search warrants for Lin’s home and workspace at Marine Corps Air Base Kaneohe, Hawaii. In Lin’s apartment, the government said NCIS agents found a notebook that contained classified information. Lin is also accused of patronizing prostitutes, but its unclear from the hearing recording what evidence the Navy used to make that charge. While the substance of what Lin is accused of passing on to a foreign agent is still unclear — based on the description of the classified evidence in the hearing — it’s unlikely the material the government alleged Lin revealed was the most sensitive information he knew. 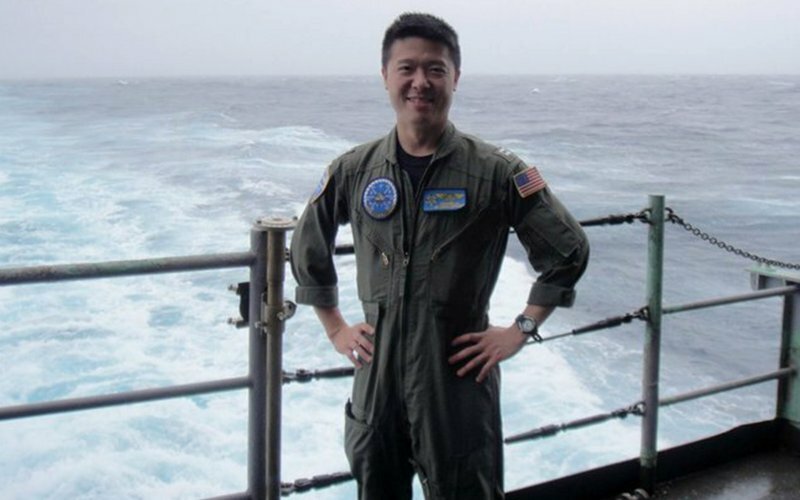 Before his detainment, Lin served as a department head for the Navy’s secretive Special Projects Squadron 2 “Wizards” (VPU-2) and was responsible for using the service’s most cutting edge signals and electronic intelligence tools to monitor potential adversaries. Additionally, Lin served as a Navy congressional liaison and would have been privy to program details in the Navy’s secret black budget. If Lin discussed the most secret information he knew, the classification of the interrogation transcript and other evidence would most likely have been deemed Top Secret or higher, USNI News understands. Former Marine attorney Rob “Butch” Bracknell told USNI News on Thursday that government prosecutors would be careful in how they classified the evidence to prevent from being in breach of military evidence rules. Additionally, none of the participants in the hearing mentioned that Lin had passed the information to China – an allegation U.S. officials have passed to reporters. Officials have also told USNI News Lin may have also passed information to Taiwan. Younger implied that at no time during his interrogation did Lin say that he was passing on information to Taiwan. “How many times does he ever try to say he was trying to aid Taiwan?” Youngner asked rhetorically. Following the April 8 hearing, Gregor prepared a summary and a recommendation for Adm. Phil Davidson – commander U.S. Fleet Forces – on how to proceed with the case. The recommendation was delivered late last month to Davidson. Navy officials said Thursday there’s no clear timeline to when Davidson will make his decision on how to proceed with the case. Messages left with a spokeswoman for Lin’s attorneys on Thursday were not immediately returned.